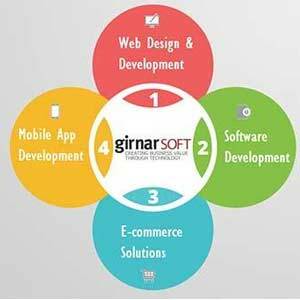 Girnar Software Pvt Ltd, which owns six portals including auto portals CarDekho.com and Gaadi.com, has secured an undisclosed amount of investment from Google Capital as part of its extended Series B funding round, with participation from existing investor Hillhouse Capital. In January 2015, Girnar Software had received $50 million in the first tranche of the Series B funding round led by Hillhouse Capital, with participation from Sequoia Capital and Tybourne Capital. The investment was done at a $300 million post-money valuation. HDFC Bank and Ratan Tata had also invested in the company last year. Girnar Software did not comment on whether the latest tranche of Series B funding, coming after about a year, was done at a higher valuation. Typically, valuation of a startup rises as it scoops up additional money in progressive VC funding rounds. Funding at any one round is typically done at same terms or per share value, even if it's staggered over multiple tranches. The funds raised now will be used for technology development, research and development, and expansion of operations within and outside India, it said in a statement. "Google Capital is one of most respected growth equity investors in the world, and brings to us the resources and expertise from one of the most valuable technology companies on the planet," said Amit Jain, CEO and co-founder of Girnar Software. Girnar Software, founded in 2007 by siblings Amit Jain and Anurag Jain, also owns BikeDekho.com, TyreDekho.com, and BuyingIQ. It had also bought Zigwheels.com from Times Internet in Septemeber 2015. The six portals collectively clock 30 million unique visitors every month, Girnar Soft claims. In the middle of last year, CarDekho entered the global online auto market with the launch of CarBay first in Indonesia, followed by Thailand, Malaysia, Vietnam and the Philippines. Last year, it invested $1 million in edu-tech startup CollegeDekho. In 2014, Girnar had acquired Naspers Group-owned Gaadi.com. The company also provides website and mobile application development, testing and software product development services. The online auto classifieds space has been seeing consolidation happening in the last one year. Late last year, Car Trade Pvt Ltd, which owns auto portal CarTrade.com, acquired rival CarWale for an undisclosed amount. In January this year, CarTrade.com secured $145 million (Rs 950 crore) from Singapore state investment firm Temasek Holdings, US-based March Capital and existing investor Warburg Pincus in its latest funding round. With both Girnar and CarTrade flush with funds, the competition between CarDekho and CarTrade can now be expected to get fiercer. Google Capital usually does late/ mature stage venture investment as seen in its investments in CommonFloor and Practo. In January 2015, online real estate platform, CommonFloor.com, received a new round of funding from Google Capital. This was Google Capital's third investment in Asia and second in India. The investment in CommonFloor was Google Capital's third investment in Asia. Quikr had acquired CommonFloor in January this year. Amit Jain CarDekho.com Gaadi.com Girnar Software Pvt. Ltd. Google Capital Hillhouse Capital Management Ltd.